A "masterpiece of contemporary media art"
The darkly comic Shockwaves is about a man whose traumatic memories of childhood send him on a hallucinogenic carnival ride of self-destruction and murder. Through a Möbius strip of alternate realities, shifting times and multiple dimensions, Shockwaves weaves a kaleidoscopic nightmare tapestry of abuse and revenge. Media artist Kasumi deploys an astonishing 25,000 public domain film samples, rotoscoped and live action film clips, dance choreography, animation and stunning sound design to produce a brilliant, darkly madcap, grotesque, beautiful and transcendent remix of signs, gestures, and actions that underlie meaning within a culture saturated by moving pictures. It is an utterly remarkable achievement that deserves to be seen by anyone who loves film, and to be studied by artists of all mediums, not just for its amazing technical accomplishment, but also for its deep and lasting emotional impact as a story of liberation and survival. A “dazzling” "metaphorical zeitgeist story," Shockwaves expresses what film until now has not been able to. It is a genuinely new and original cinematic language that goes beyond images, entering intravenously into our visceral understanding. The liquid blood of cinema. Curators may contact: kasumifilms@gmail.com to acquire the Museum Limited Edition of 10. Shockwaves is a window into a man’s mind as he tries to comprehend the transformation of his life from fairy tale to tragedy. He recalls meeting and falling in love with his soul mate, their wedding and their promising future. But fatherhood resurrects the ghosts of abuse, and he is transfigured into the slave of psychic trauma he cannot escape; he plays the part his heritage commands, recapitulating his own father’s role. But trauma and suffering have always through the ages called forth a response. Like an Aeschylean Fury risen from depths unknown, the memory of his savagery wreaks its vengeance and finally annihilates his sinister inheritance. 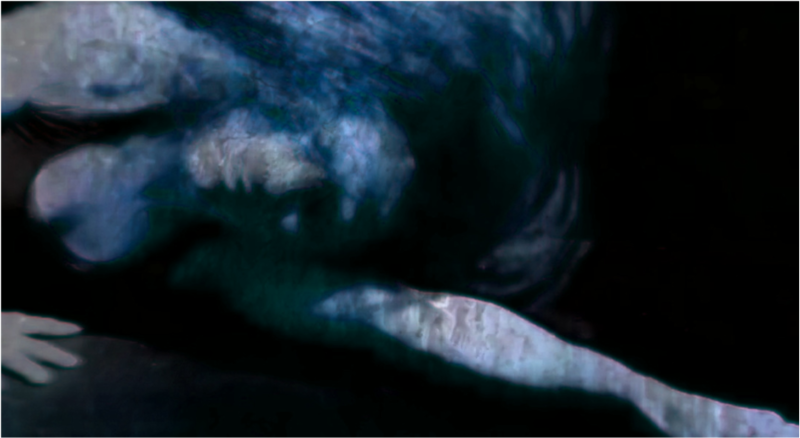 In a unique collaboration between Kasumi and Vimeo, viewers are also able to experience the director's theatrical cut of Shockwaves through streaming and limited edition purchase. “As a platform that fervently supports artistic and cultural innovation through video, we are honored to be presenting Kasumi’s first feature film to audiences worldwide in this unprecedented art opening,” said Greg Clayman, General Manager, Audience Networks, Vimeo. “Shockwaves is a powerfully articulated piece that breaks all boundaries in media art."